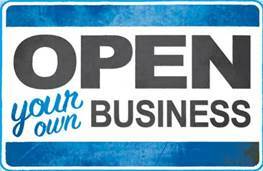 There are many great reasons to start or re-locate your business in Old Saybrook. 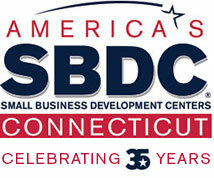 Visit the Town's Economic Development Commission website for even more resources. Old Saybrook is centally located in the Lower Connecticut River Valley, an area comprised of nine towns in the southeast-central part of the state. We are within 100 miles of New York and Boston, with direct access to Interstate 95 and Route 9. RAIL Amtrak and Shoreline East make frequent daily stops at the Old Saybrook Train Station with connections to New York, New Haven and Boston. The commuter rail, Shoreline East, connects towns between New London and New Haven. BUS 9 Town Transit provides bus service throughtout the nine towns of the Lower Connecticut River Valley, and Dattco buses connect passengers with Hartford. We are a small New England town of 10,000 with a large civic-minded community. You'll find youth sports leagues, several houses of worship, an annual summer art festival, holiday parades along Main Street, an annual Chili-Fest, mini golf, a public 9-hole golf course, theater--the Katharine Hepburn Cultural Arts Center is located here--and so much more! We have an active Economic Development Commission devoted to assisting the businesses and improving our business climate. Old Saybrook offers beautiful shores, vistas, marinas and an eclectic collection of shops and restaurants on Main Street and nearby. We also have several professional offices (doctors, dentist, attorneys), real estate brokers, antique shops, and art galleries. Ready to launch your business idea, evaluate funding choices, expand to new markets? Use this online Business Start-Up Tool to get started on the right footing!